Happy Friday to all of you! Ending the year with one of my favourite outfits – this all white look. I know that white is a bit tricky when you have a baby. Many mums probably stay away. Yes its possible to have accidents but so far I have been lucky in that there have been no major hiccups! Perhaps I will change my mind soon especially now that Mila has started solids (OMG what a big girl she is!) And yes winter whites are perhaps not the most practical for those without a baby either but I think that as long as you aren’t planning on going for any long muddy walks then you should be fine! I feel like it looks so luxurious and elegant so I’m sure I will be wearing more of this in the New Year. 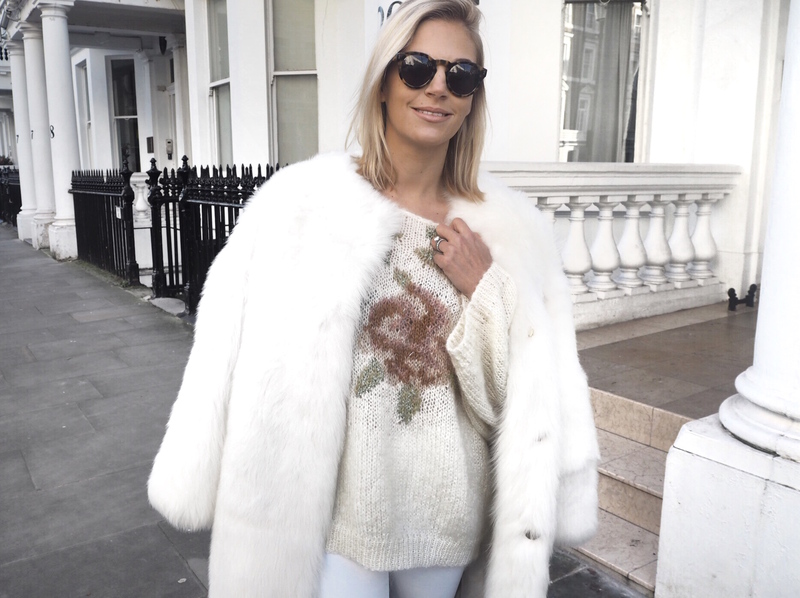 I have put together 10 of my favourite winter white knits which you can also pair with some normal jeans if you aren’t up for the full on white look.